Enjoy an incredible Alpine mountain experience, learn to snowboard, or enhance your skills with a Mint Snowboard Camp! 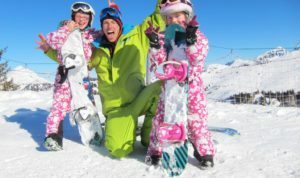 Mint Snowboarding are the only solely dedicated and ‘snowboard specific’ school in the Portes du Soleil and are the perfect partners for us to bring you the best quality, great value snowboard camps. Whether you’re just starting out, a partially skilled intermediate boarder, or reckon you’re heading towards advanced level, there is a Mint Snowboarding course that is perfect for you! This course is for intermediate and advanced riders who have clocked up a good amount of hours on the mountain, either self-taught or with minimal formal instruction. Even if you’re a fairly confident rider, time spent with a professional instructor will help you enjoy it ten times more! In this course, you’ll develop a solid platform from which you can further progress your riding, to dominate over the whole mountain. The course will tidy up your basic technique, plus move you forward in all areas of your technical riding skills. Steep terrain boarding, off piste and freestyle will be covered, plus other more specific techniques. All the elements of the course will add to and enhance your skill-set, resulting in a far slicker and more responsive riding style across all terrains. New to the mountains, or just new to the board? Get off on the right foot with a Beginners Snowboard Camp. It can be a bit daunting the first time you bind yourself to a snowboard. Everyone else looks super confident and like they know what they’re doing, right? 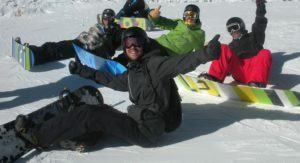 Mint Snowboarding is the only school in Europe to offer a beginners specific snowboard camp. The aim of this camp is to take you through the learning stages and teach you the basic skills of snowboarding in a fun and supportive environment. This course will give you a solid foundation for future snowboarding progression. Mint Snowboarding also offer a range of other courses, from Off-piste Freeride, to Splitboard Backcountry and Advanced Skills. There’s something for everyone, so grab a group of like-minded boarders and let us help you find the perfect course and match it with the ideal accommodation for every level in your group. Travelling alone? Not a problem! All the snowboard courses are designed with solo-travelers in mind too. It’s a great way to progress your snowboarding, learning in a small group with others of the same level, then you end the week with a bunch of new snowboarding friends! Our friendly, shared twin and dormitory accommodation at the Rude Lodge and the welcoming, social atmosphere in the bar and restaurant below mean you won’t miss a moment of mountain camaraderie. Come and join our gang! 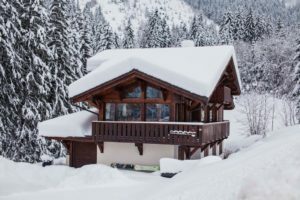 Depending on your budget and the number of people in your group, we can set you up with either catered or self catered chalet accommodation. Alternatively, we can book you a bed in our fantastic value Rude Lodge. 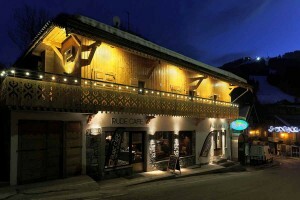 Twins and dorm rooms on top, our great value Rude Cafe on the ground, and THE night time venue of Morzine – Le Paradis nightclub – below. Add-on services and amenities vary according to your accommodation option. Get in touch today, and let us help you build your ideal snowboarding camp for you, your friends or your family.